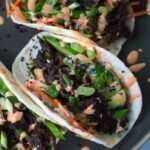 I’m back with yet another fun way to use that tasty Instant Pot Korean Beef: tacos! Is there anyone out there that doesn’t love a good taco? 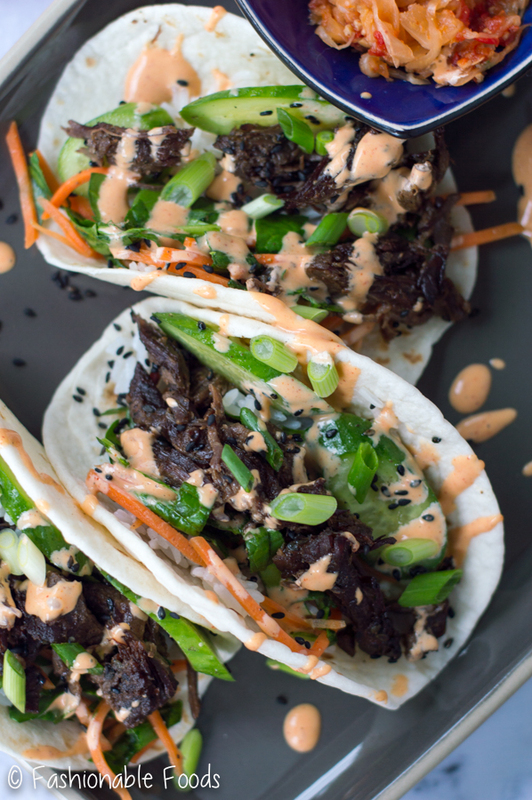 I have 37398 taco recipes on my site and I’m here today with another one because, well, I just love tacos. This particular taco recipe takes on a Korean flair. 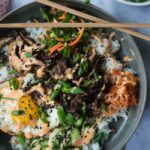 We’ve got tender, flavorful beef over some rice and topped with sesame cucumbers, spinach and carrot salad, kimchi, and a hefty drizzle of gochujang mayo. Delish! 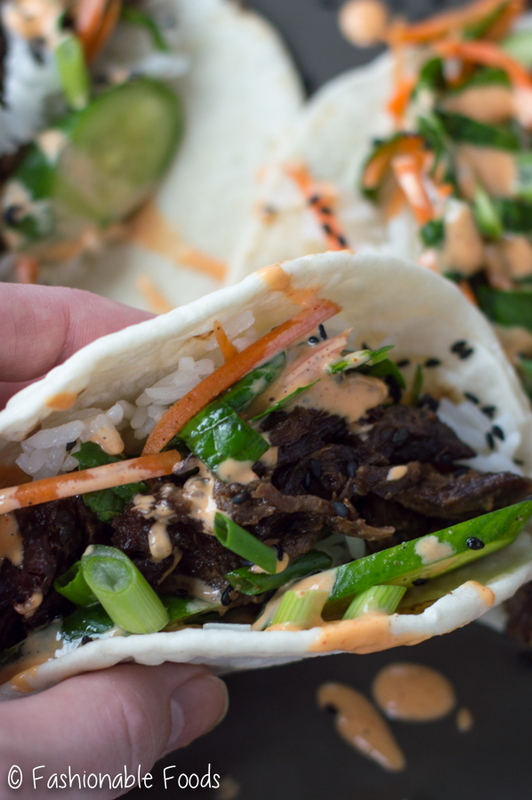 How do we feel about rice in a taco? I’ve never tried it until now and I gotta say, I’m a fan. Especially with the combination of flavors we have here. 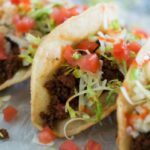 I love these tacos on soft flour tortillas, but if you need them to be gluten-free you can toast up some corn tortillas instead. 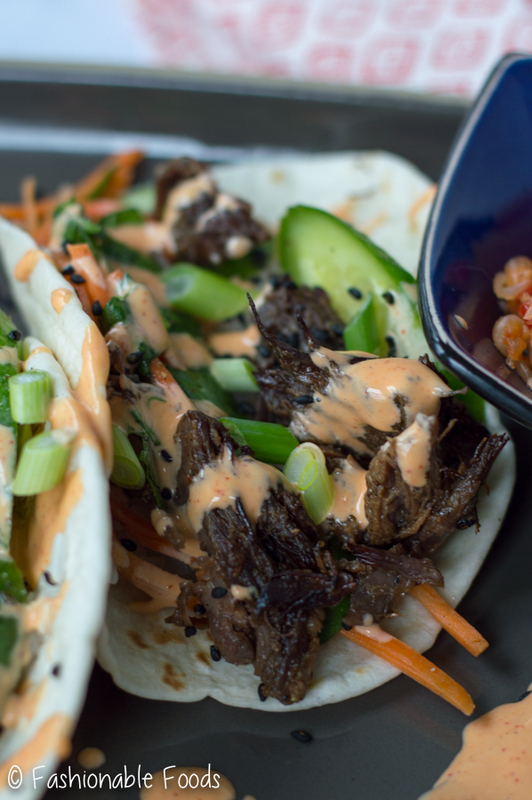 Layer some rice, beef, spinach and carrot salad, cucumbers, and kimchi in warm tortillas. 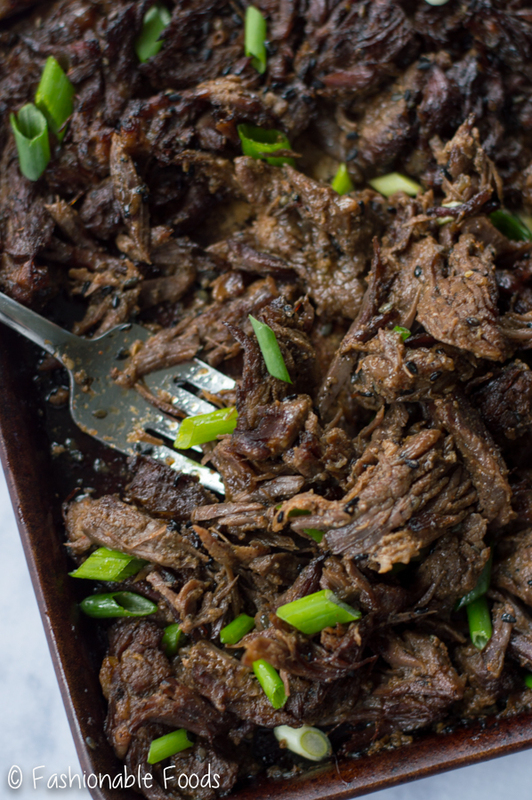 Drizzle with gochujang mayo and top off with scallions. Enjoy!